Lithium batteries should be charged by first applying a constant charging voltage (similar to the bulk charging stage) and then, when the battery has almost reached a full charge state, maintaining that voltage but allowing the charging amperage to taper off as the charge completes. Many commercial chargers apply three charging stages: bulk, acceptance, and float. These three stages are not the appropriate charging profile for lithium batteries. Since no lead-acid battery charger is designed to provide the type of charging profile appropriate for lithium batteries, we suggest that you charge a lithium battery only with the charging equipment or system that it came with. Storage (or “float”) charging is not good for lithium batteries. Lithium batteries should not be kept on a trickle charger while in storage. Instead, a maintenance charge schedule should be used. A lithium battery can easily be destroyed by a conventional charging system due to their different voltage range and charging response. A BMS with overvoltage and undervoltage protection should be used to ensure optimum battery life, performance, and safety. All batteries have a maximum current at which they can be charged safely. Lithium batteries have the highest acceptance rate, and fastest recharging time of all options. 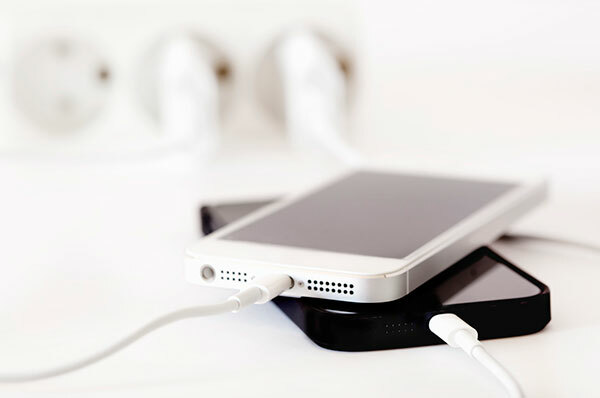 However, charging at the maximum allowable current can also shorten battery life. Cases of extreme overcurrent could result in a hazardous condition due to battery overheating and thermal runaway. With any type of battery, the actual charging voltage should be adjusted for the ambient temperature of the battery. As batteries charge, they generate internal heat, and when they charge quickly they can generate enough heat to cause damage, or to shorten the life of the battery. The integral BMS monitors internal battery temperatures, but all it can do is completely cut off the charge to prevent excess temperatures from causing damage. 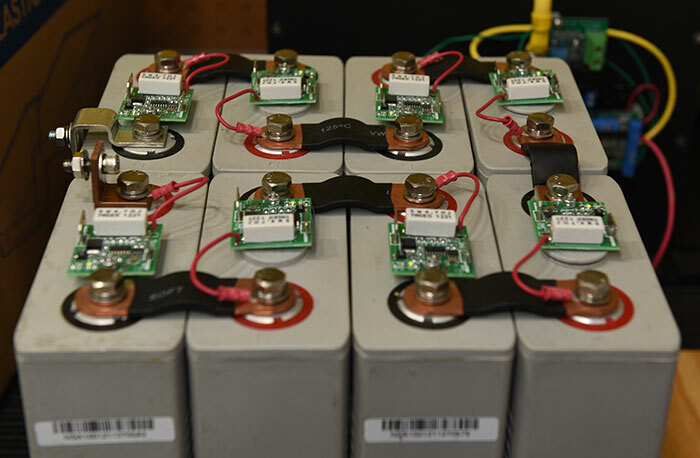 Self-discharge is a measure of how much batteries spontaneously discharge on their own. The LiFePO4 battery chemistry maintains a very low discharge rate under temperature conditions ranging from 0 to 35 °C (32 to 95 °F). As temperature rises beyond 35 °C (95 °F), the self-discharge rate dramatically increases, resulting in the need for frequent maintenance charging. Also, stored LiFePO4 batteries should be checked and charged every three to six months because the battery management system (BMS) consumes small amounts of power. Proper ventilation of closed spaces, and even simple shade from intense sun, will ensure that you can get the maximum power from LiFePO4 batteries. Continual overheating will shorten the life LiFePO4 batteries. Trying to drain (discharge) or charge lithium batteries below freezing temperatures can damage them permanently. BATTERY IN A DISCHARGED STATE! 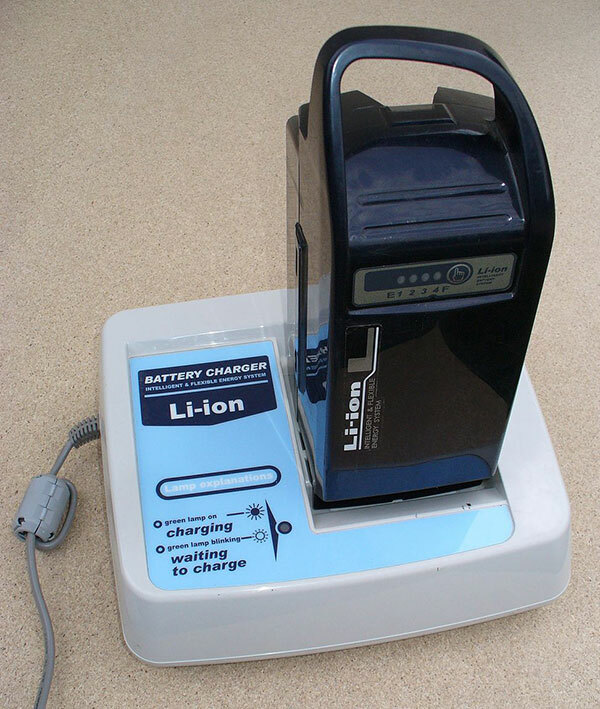 Lithium batteries should be charged using the charging system that comes with the battery. Typical lithium battery charging devices include voltage-regulated charge controllers and solar charge controllers. A voltage-regulated charge controller, such as a Lab Power Supply, is designed to supply constantly regulated voltage to batteries. If these are set to the correct voltages for the batteries, the BMS in Solar Stik’s LiFePO4 batteries will keep them charged without damage. Chargers such as these are sometimes called “taper chargers”. Remember that lithium batteries, unlike lead-acid, do not need, nor do they benefit from long-term, trickle charging. They are best charged and then used or put away. Solar charge controllers are regulators that go between a charging source, such as solar panels, and the storage batteries. These regulators are designed to keep the batteries charged to peak voltage without overcharging. This is typically the way that Solar Stik systems are configured, with all parts of the system optimized for battery types and capacity. 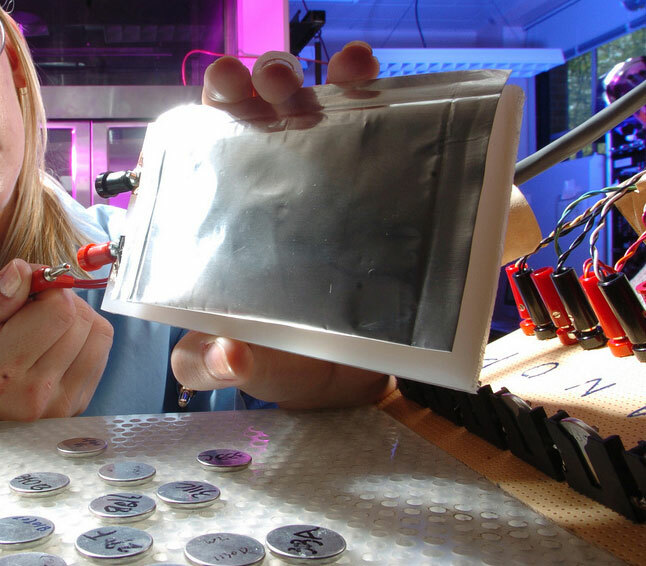 Lithium batteries can be tested in several ways. A voltage test with a calibrated voltmeter can be useful, but the best way to test a lithium battery is to perform an actual “load test”. Load testing removes the energy from a battery and measures how many amps are removed and then replaced after the battery is recharged. This measures the “capacity” of the battery, and it is the most accurate test to determine the health of a battery. A load test can be performed only if the battery is at or near a full charge. Load testing can be done with a load test instrument, which usually uses a large resistor to drain the battery, or with conventional loads, like headlights, heaters, coolers, or whatever equipment normally puts a heavy load on your battery when the charging supply is turned off. If you have a battery monitor or amp meter, this can be used to see how many amps have been drawn from the battery over a period of time. If you do not have a meter, you can make a rough determination by calculating the cumulative energy consumption of the loads (lights, heaters, etc.) and multiplying that number by how long it takes before you see performance degrade. 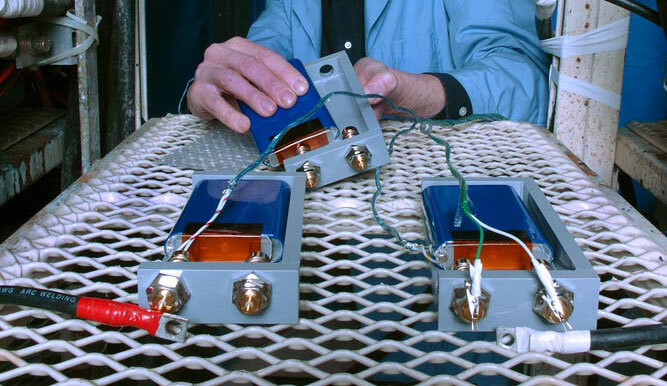 Some electronic load testers apply a 100-amp load for 10 seconds and then display battery voltage. However, this procedure is meaningless for lithium batteries because of their different ability to power heavy loads. Because lithium batteries are so robust, testing them once or twice a year will not make any real difference in their life or capacity and places an insignificant drain on them. To minimize performance differences, BMS components called Protection Circuit Modules or Protection Circuit Boards (PCBs, or sometimes PCMs) are connected to each cell. The PCBs constantly monitor and report critical parameters of each cell and make small adjustments to correct for any differences between cells. Balancing or equalizing all parameters of each cell in a battery is critical to ensure full life and capacity from a lithium battery. The many cells that constitute a lithium-ion battery can sometimes charge and discharge at different rates, depending on the cell temperature, age, and factors that occur during manufacture of the cells. Over time, these differences will become amplified if they are not corrected. It is important that while charging and discharging, the balance between all cells is maintained. If cells are out of balance, the entire battery pack is shut off when the weakest cell drops below the lower voltage limit, even if other cells are still not completely discharged. Cell balancers are usually placed throughout the cell circuit in order to maintain a balanced charge throughout the entire battery and thereby extending the life of the battery. Mismatched batteries do not age at an equal pace. If multiple batteries are combined in a bank, the battery with the lowest capacity will determine the runtime or the vitality of the entire bank. Uneven battery performance may also cause a BMS to shut down one or more batteries in a bank, effectively disabling the entire bank. For this reason, we recommend that all of the batteries be purchased, used, and replaced as a group at the same time. We consider ourselves authorities in portable power and students of its application. STIKopedia reflects that and is updated continuously as the industry grows and evolves. Questions? Comments? Click the compass at the upper left to contact us.